Model: SW-21 Amplifier Selector with 5.1 Channel input/output- Add-in for your Home Theater/ K..
Best media A-480 Hi-Power Amplifier is an advance Karaoke Amplifier that gives you more co..
Best media A-350 Hi-Power Amplifier is an advance Karaoke Amplifier that gives you more co..
Best media A-280 Hi-Power Amplifier is an advance Karaoke Amplifier that gives you more co..
Best Media A-150 Digital Karaoke Amplifier System is an excellent choice for home Karaoke .. The DA-3700 is a 100W + 100W digital karaoke mixing amplifier that is great for both home use as wel..
We proudly present the worlds first Vocal Mixing Amplifier with Dual Digital Processors... the DA-98.. The KR-3808 PRO is a Digital Karaoke Receiver with a built in AM/FM tuner that allows you to connect..
VocoPro HV-1200 Pro High Power Vocal Amplifier with 300W x 2CH. World's First Vocal Mixing Amplifier Designed for P.A. Speakers! If you are a working KJ, you know t.. 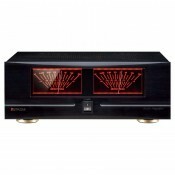 This BMB Digital Amplifier has three configuration (switch settings in rear)SYSTEM 1: 150W x 2 Chann.. 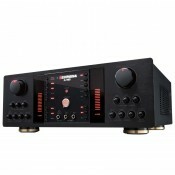 High-Tech and High Quality Karaoke Digital Amplifier with Large LCD PanelThis model has a multi-purp..